...to our home! 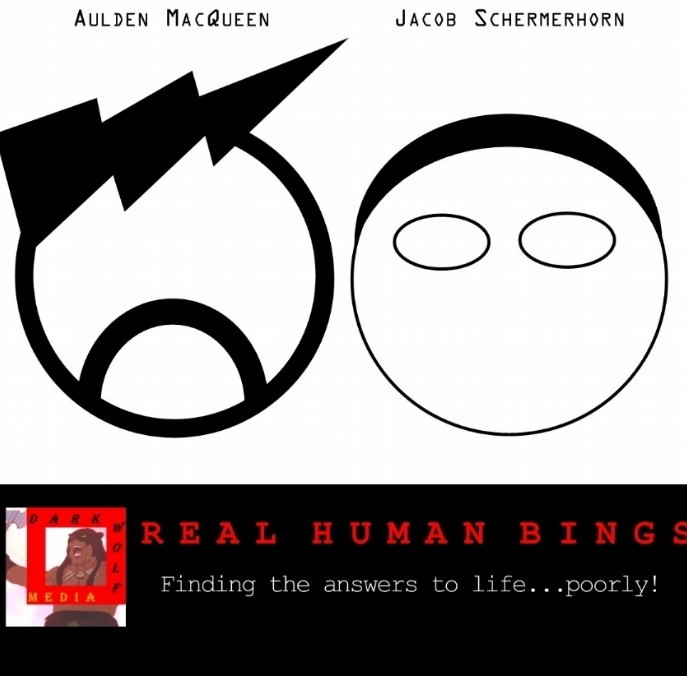 Kick off your shoes, put your feet up on the ottoman, and relax with Real Human Bings, the only show to feature two guys talking about random stuff on a podcast. Ever! We are two straight white dudes living and teaching in China who thought it would be a good idea to record our dumb thoughts about our experiences here and broadcast them to the world. It is our aim to discuss news and current issues of our day as well as music, movies, politics, sports, life in China, in our own rambling, half researched, opinionated and sometimes comedic way. Click here for our latest episodes. Click here for a list of all our episodes and endnotes. Click here for our series on video games. Click here for a tutorial on how to subscribe to the pod. After being conceived in a top secret CIA bunker, Jacob grew up on the mean streets of Brighton, NY where he learned how to mow lawns. He studied at the college formerly known as SUNY Fredonia (Now called John Bardo University). He's seeking a blonde, under 5"10 with preferably blue eyes and a "fun" personality. Excepting that, he's seeking a transformative experience (but really, aren't all experiences transformative?) in a culture truly foreign to him. By actively trying to cross that barrier of culture, language, etc. he hopes that some small truth about the human race will be revealed to him. If that's not possible, he'll settle for a brunette. At the dawn of the creation of the universe, there existed the SYNTH LORDS! Out of their eternal harmonies, Aulden MacQueen was created in an explosion of orgasmic creative energy and wandered the universe with his cool spaceship and cyber-dog Petch. Growing bored with saving intergalactic princesses and fighting the unjust empire of the Garthag 9, Aulden decided to move to earth and settle down on the island paradise of Salt Spring, British Columbia. After the standard human time period (which is only .0000000001 the length of a Synth lord) he chose the most respected and well-paid profession of all earthlings: high school social studies teacher. Nietzsche as a DM would be a real downer.